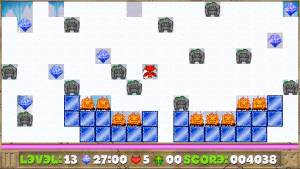 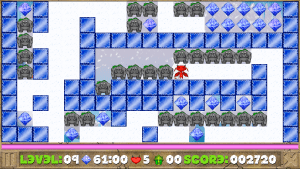 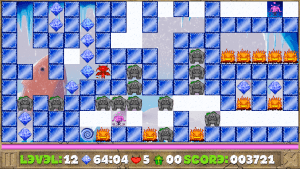 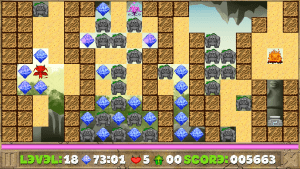 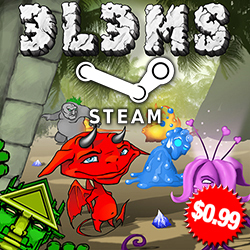 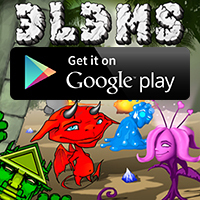 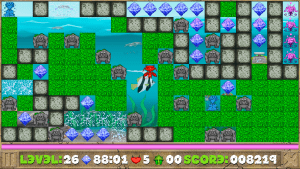 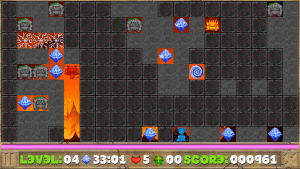 Elems is an arcade logical puzzle-game and its goal is to collect Shards of the Life Ball, scattered across 32 levels in 4 zones: Hell, Ice, Stone and Water. 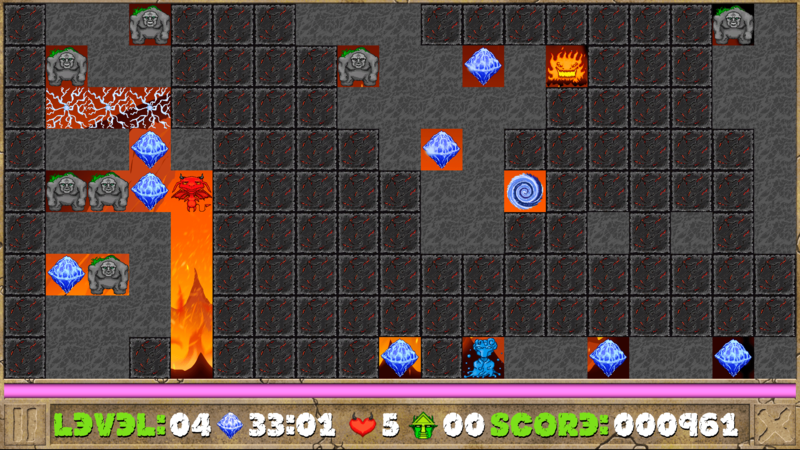 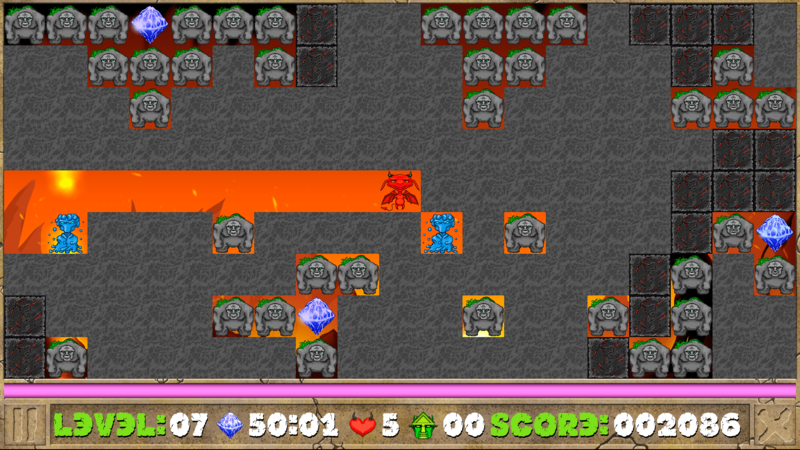 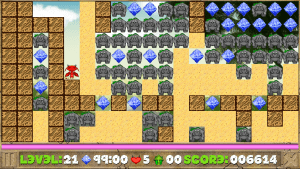 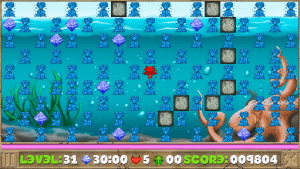 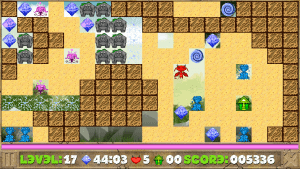 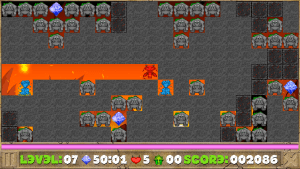 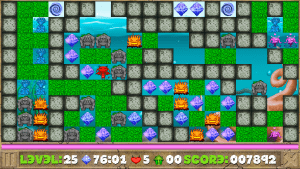 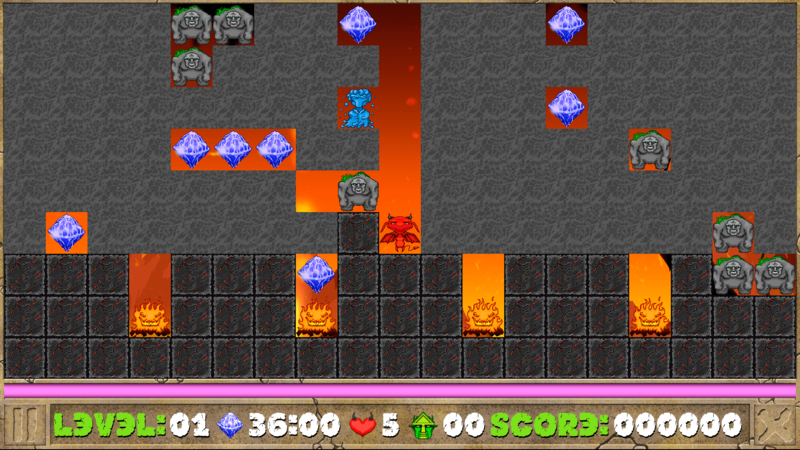 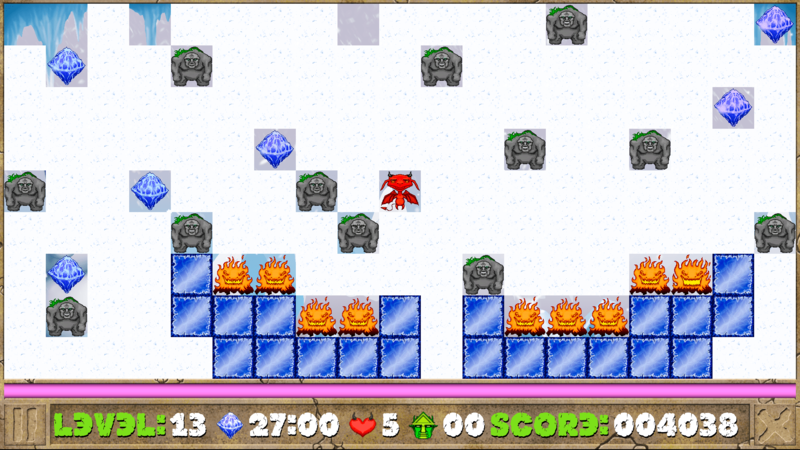 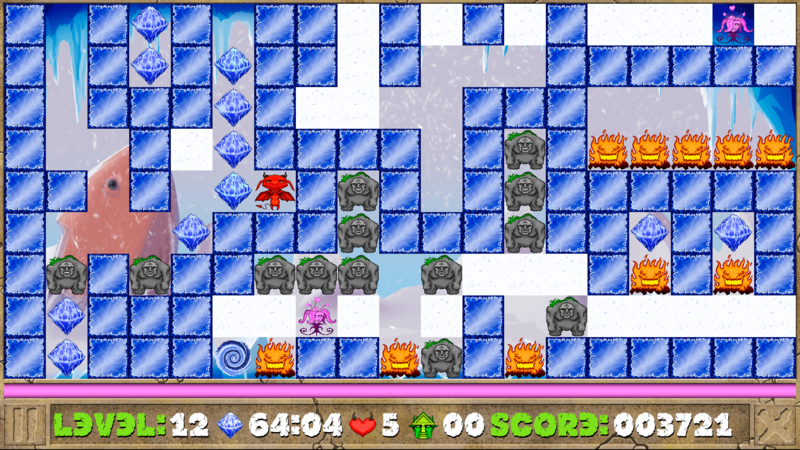 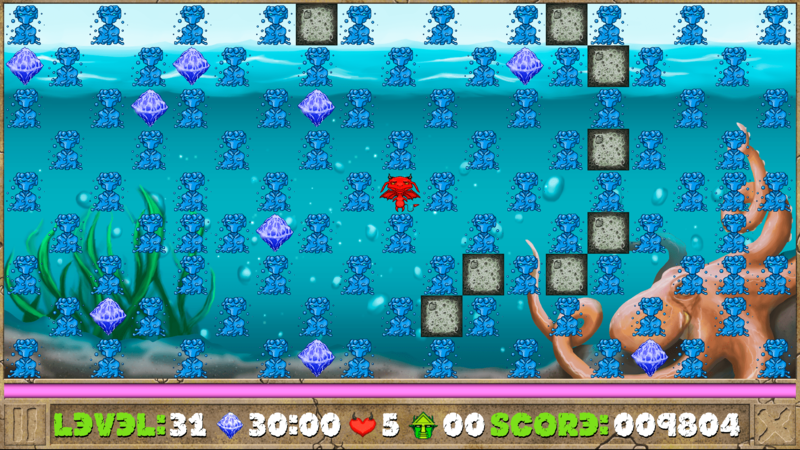 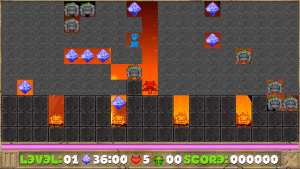 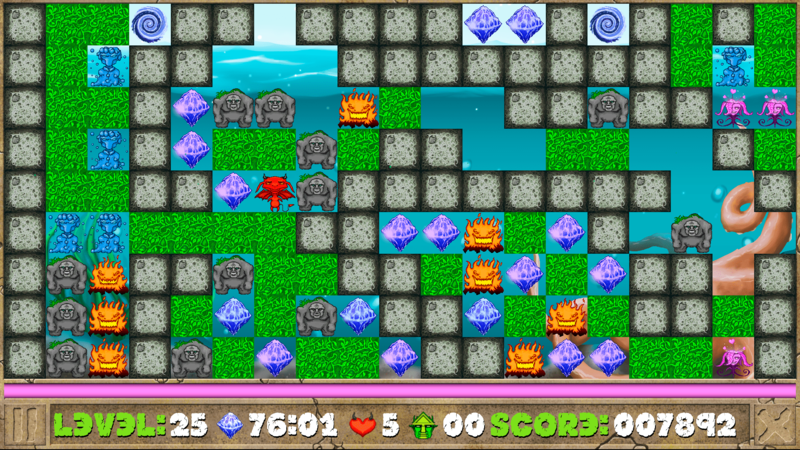 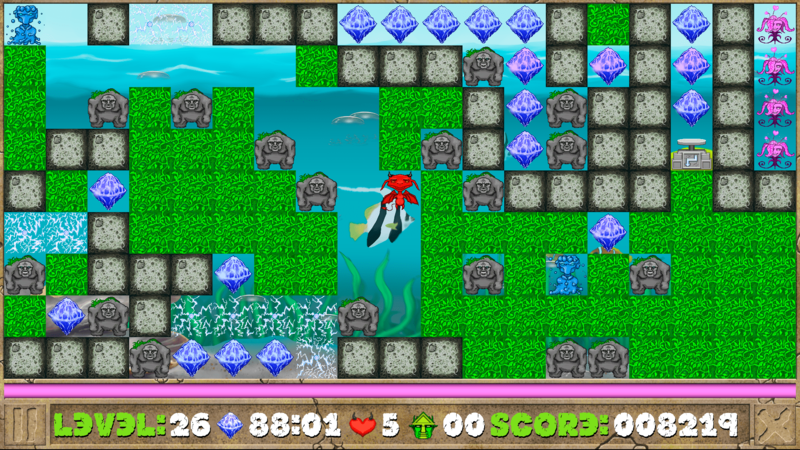 While playing, the Imp Guardian (the main character) has to collect all Shards of the Life Ball on the current level to proceed to the next one. 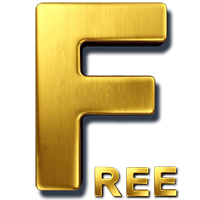 Movement – cursor keys/WASD, В«FireВ» – Shift, Alt, Ctrl Рё Space.